FHA Approves Lofts at 2020! Congratulations to the Loft Owners at 2020 Washington in getting their building FHA approved! Last week the FHA Commissioner, David Stevens was in town to speak to a group of Realtors. We were there for a few reasons; a free lunch, a pep talk, and to impress upon the FHA Commissioner how lending restrictions on condominiums need to be revised. For review: an FHA Loan is made available to allow new home buyers to buy a home with a 3.5% downpayment (instead of the 20%+ that conventional banks require). In February 2010, it was required that only FHA Approved Condo Projects could receive FHA loans. Since FHA financing was practically non-existent when most of the downtown condominium projects were built, but now accounts for nearly 40% of the available lending, many of the buildings that were not originally approved had to go through the process. 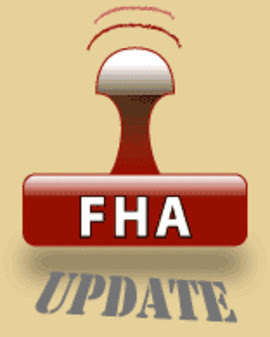 We had been encouraging that since May 2008 (see My Day at the FHA part 1 and part 2). Despite all our encouragement, only the Syndicate Condominiums and the Dorsa Lofts have become FHA approved since February and they did mainly because of continued involvement from the developers. When the topic came up at the luncheon about improving access to FHA for Downtown condominium projects, there was a loud applause from the crowd. Most Realtors want better opportunity to sell in Downtown St Louis but have had to tell buyers with less than a 20% downpayment to look elsewhere. That has been HORRIBLE! Unfortunately, the Commissioner Stevens answer was not terribly inspiring. He said that due to condos having the highest default rate and pressure from right wing groups to reduce federal loan programs, "no further liberalization of lending terms can be expected." While that news stinks, it forces the issue even more that CONDO ASSOCIATIONS NEED TO GET FHA APPROVAL!!! (Especially Printers Lofts, Annex Lofts, Terra Cotta Lofts, Railway Lofts, Bankers Lofts, Westgate Lofts, Garment Row Lofts, Lucas Lofts, & the Marquette Building). Also Knickerbocker and BLU, coming up for expiration next month, need to get re-approved. At Premier Realty Exclusive, we have resources to help in the process, but the Condo Associations of these buildings have to do the work, otherwise they limit the buyer's able to buy to those having a 20% plus downpayment. These days, that's a tall order.